In 2010, PIERS acquired several of our (CenTradeX) Trade Intelligence Applications that now represent half of their product line, namely Prospects (and a Prospects derivative they now market as Trade Finance), StatsPlus, and “Dashboards”. As partial consideration, I retained the rights to 13 licenses of this software for five years: 13 licenses to StatsPlus, 13 licenses to Prospects and 13 licenses to Dashboards (which they have yet to bring to market). Said rights expire July 1, 2015. Under the terms of that agreement, 12 licenses are eligible for redistribution. Redistribution being “employees, independent contractors and consultants, clients of the licensee, for whom, from time to time, the licensee or his appointees are carrying out consulting or other commercial engagements”. Currently I have assigned 2 which will expire June 30, 2012. See the article, WTD Backstory- Part 5: Retained CenTradeX Core Technologies & Licenses. Prospects is unique in the world of Trade Intelligence. It combines many data sources into one easy to use graphic interface. U.S. Customs Waterborne Import data is matched with D&B Company information as well as various statistical sources. In addition, PIERS adds their proprietary export data (at this point they are the ONLY game in town able to offer data on daily exports) as well as some supplemental referential databases. One of the coolest things about Prospects is that all this data, from individual shipment detail to highly aggregated summary, is searchable by-product, company, or region. 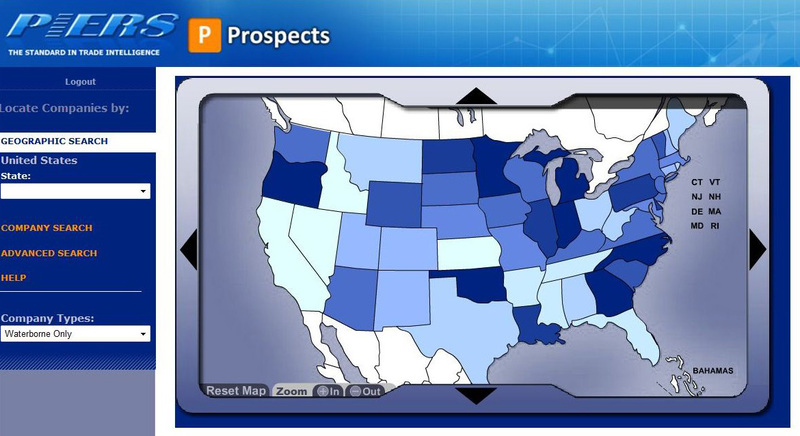 Also see WTD article: PIERS Prospects™ – Prospecting For International Buyers and Sellers. Also refer to PIERS website and informational materials: PIERS Prospects Information. Prospects Product Brochure. 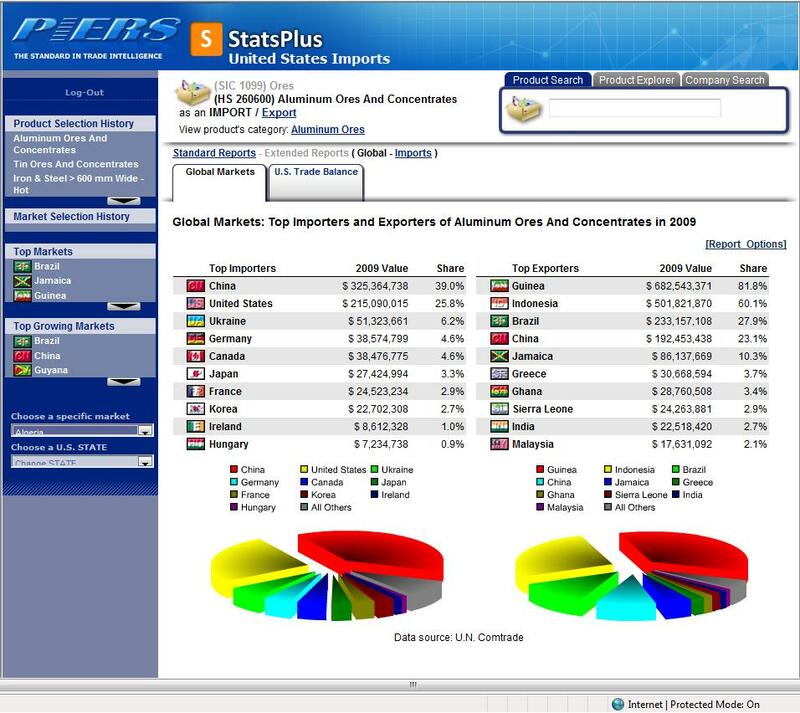 StatsPlus integrates U.S. import and export statistics, state export data, and global trade flow information together with global buyers and sellers underlying the statistics. PIERS StatsPlus, retains the slick visuals, colorful graphics and dynamic charting capabilities that were always inherent in all the CenTradeX interfaces. See WTD article: PIERS StatsPlus™ Attempts to Transform Trade Statistics Into Intelligence. Also refer to PIERS website: PIERS Stats Plus Information. Complimentary Licensing of Piers Prospects and StatsPlus. My vision is to see WorldTradeDaily.com develop into a vital interactive community of trade professionals representing every aspect of World Trade and Development. To help seed this vision, I am offering complimentary subscriptions to StatsPlus or Prospects- arguably the most innovative TI software available. There are several ways to qualify for this complimentary subscription. Educators and trade professionals will be considered for a complimentary license; provided that as a material and integral part of agreement, they agree to regularly submit for publication articles that reflect their views and experiences in International Trade, utilize the software and be available for occasional surveys and research studies. We are limiting the number of available licenses within each particular facet and function involved in International trade (academia, government, NGOs, logistics, maritime, commercial, consulting, etc.). A minimum commitment of 1 article per month for each subscription is required (2 per month if both StatsPlus and Prospects are utilized). Ongoing sponsors of WorldTradeDaily.com articles and clients (with consulting, development or project management contracts) provided that they cannot be a current PIERS client (or listed prospect) or previous CenTradeX customer. In addition, you must sign the standard PIERS end-user agreement (EUA), abiding by its normal terms and conditions. You cannot resell or assign this license to anyone else. This complimentary subscription is only valid for 1 year. After that, you may contact Aliet Martinez, head of commercial sales at UBM Global Trade / PIERS, AMartinez@piers.com – for a WorldTradeDaily.com discount on the subscription rate to Prospects and Stats Plus.